This 900 CD was sold new to G.T. Smith & Sons, Knottingley, West Yorkshire (Great Britain) by Robert Bowett Ltd, Ossett, West Yorkshire. It was finished in the beautiful Amaranth Red metallic with Sierra (Yellow-Beige) Leather. Nowadays the CD is very rusty underneath and in the wings, bonnet and bootlid. 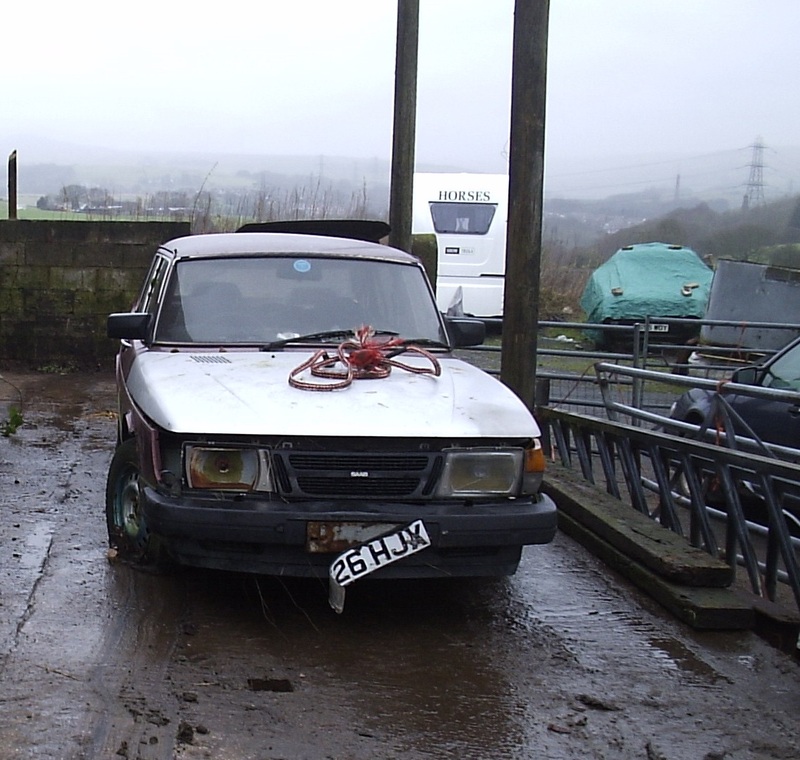 It was was taken off-road because of a gearbox fault. The paint is very poor, with many shades of “pink”, and with large areas of peeling lacquer. 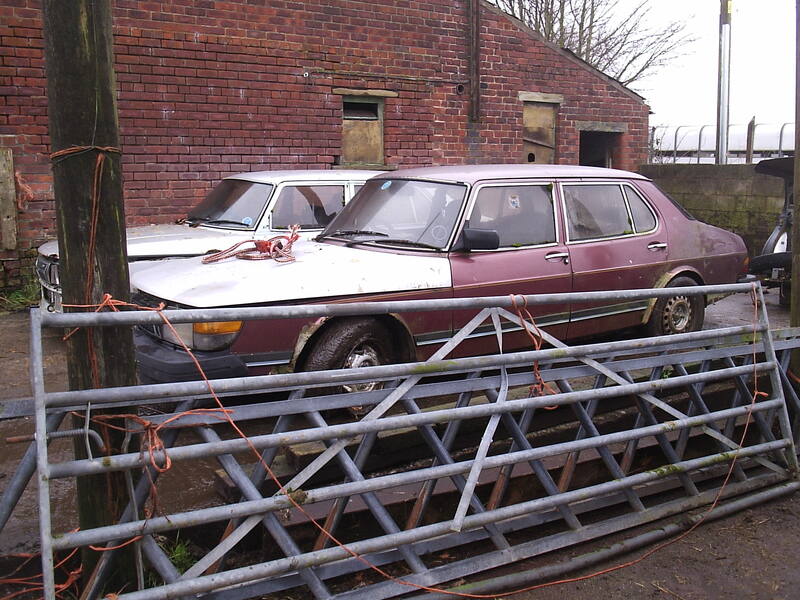 David was given the car free of charge in March 2003 by a SAAB Owners Club GB member who didn’t want to scrap the car. He has used the leather interior to upgrade his 1984 900CD.